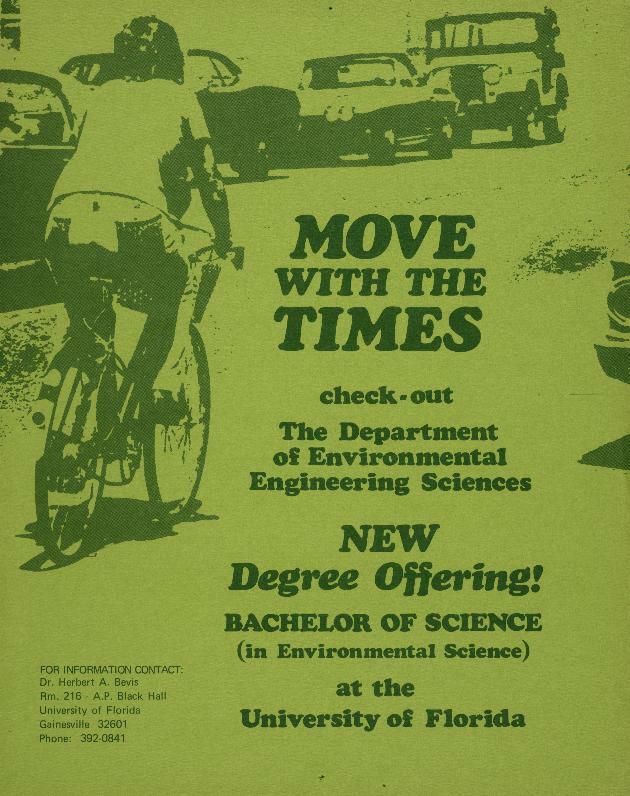 A poster ad for the Dept. of Environmental Engineering Sciences. A graphic pictures a person riding a bike and several cars in a line. Contact information is printed to the bottom left. "Move with the Times"